The totally redesigned Nissan Altima Coupe debuts with improved fuel economy and overall quality for 2013, with a keen focus on improving the car's appeal to a more upscale market. Although the very slight bump in economy isn't exactly anything to write home about, and neither is the distinctly mainstreamed style, the changes nevertheless put the Altima Coupe back on the map for many shoppers. It doesn't top the list or especially stand out, but front-wheel drivers with a preference for responsive handling, touring-capable dynamics and cabin technology that's easy to use will find a lot to love in the improved 2013 Altima Coupe. First, the bad news. Sure 23 mpg city/32 highway is pretty good, but the Altima sedan takes best-in-class for economy at 27/38 with the very same 2.5-liter engine. 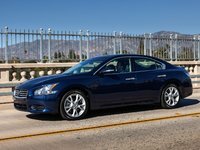 The 3.5-liter engine not available to the Coupe for 2013 offers 100 more horses, paddle shifters for the Altima's lone continuously variable transmission (CVT) and 6.2 seconds to 60 mph where the 2.5 S Coupe isn't even good enough for a published rating. As if that's not enough, any Altima but the base 2.5 and 2.5 S, which includes the Coupe, are allowed some options. The lone Coupe 2.5 S trim is at least fairly well appointed with 17-inch alloy wheels, full power accessories, keyless ignition/entry, a 6-way power driver's seat, automatic headlights, 6-speaker sound system and a 4-inch display screen handling things like Bluetooth phone and audio connectivity, but it sure would be nice to at least have the option for the 7-inch monitor, heated seats and sunroof available to other trims. Maybe just the blind-spot warning system, perhaps? Sorry, no such luck for Coupe lovers. What you see is pretty much what you get, unless you want fog lights, a rear spoiler or external ground lights. To be sure, the Altima Coupe is not vying for any prizes in practicality, especially with 10 inches less legroom for rear passengers than the front offers. That said, the 2013 improvements make a vast difference in the dynamics of the Coupe. Although materials quality went up, weight went down about 100 pounds, and the suspension was re-tuned for sharper handling, better bump absorption and overall improved rider comfort, resulting in an unobtrusive driving experience. The CVT was also heavily modified for better fuel economy, though it doesn't really show in the Coupe, which has matching EPA estimates for the 2012 and '13. At least we can hope the 3.5 S will make a comeback in Coupe form and inject some spice in the lineup for 2014, but for now the only Coupe engine is a 2.5-liter DOHC 4-cylinder good for 175 hp and 180 lb-ft of torque and powered by the only Altima transmission, a sometimes noisy CVT. If you don't like to stop for gas, the 20-gallon tank affords a 640-mile maximum range on regular fuel—which is about double the range of similar cars, but also almost twice the fuel. All in all, if you're a fan of simple style and simply driving, the 2013 Altima Coupe should be on your short list. What's your take on the 2013 Nissan Altima Coupe? canne467 Bought mine Jan 2014, brand new, was sitting on the lot. Putters, a lot. Feels like it is going to stall. Dealer doesn't believe me. Had oil changed under 3K miles. Now at 3750, 8 months on the road.....got a maintenance message about a filter today......could it be the fuel line? Any input would be appreciated.....canne467@aol.com. This may be why they stopped making them.....very unhappy. ster4real The Coupe is SOOOO much sportier than the sedan. It looks and feels like a sports car. Plus? Mine has ALL the trimmings. ALL of them. Starts with the XM/Bluetooth 7" command center to the sleek lines. Must have. 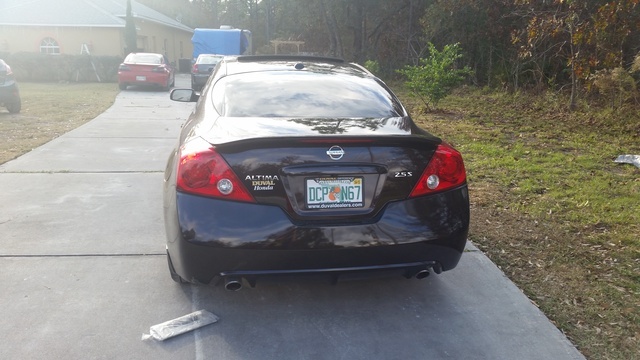 Users ranked 2013 Nissan Altima Coupe against other cars which they drove/owned. Each ranking was based on 9 categories. Here is the summary of top rankings. Have you driven a 2013 Nissan Altima Coupe? Car Stay Without Coolant Really Soon .